Choosing which day and date you move can have an effect on the cost of your move. Moving over the summer and during the first/last week of the month is generally more expensive than moving during the winter and the middle of the month. If you can offer some flexibility in scheduling by giving your mover a window of a couple of days on both the pickup and delivery ends of your move, the likelihood of having an on-time move increases. When moving day arrives, the most important thing is to be there! If you have young children and pets, arrange to have someone else watch them. Be on hand when the movers arrive and have everything ready – e.g., have beds stripped and items not being transported by the moving company already packed in your personal vehicles. If at anytime during the day you are unable to be there, make sure an adult authorized to take your place is there and that this person is identified as your representative to the moving company. The movers will prepare a bill of lading (also known as the contract or service order). A bill of lading is the customer’s receipt for goods and a contract for transportation. Items on the bill of lading should match your itemized inventory. Your signature on the bill of lading acknowledges that the household goods can be loaded on the van and released to the carrier. Read this before you sign it. If you don’t understand something, ask for a clarification – and put the clarification in writing in the margin before signing. Keep a copy of the bill of lading for your own records. Make sure all of the services you require are on the contract. Discuss the delivery arrangements fully with your mover. Confirm the date and time of delivery and give the van driver written directions to your new home. Make sure the mover is able to reach you during transit and at your destination. Make sure you have a local telephone number and address where you can reach the moving company at your destination. 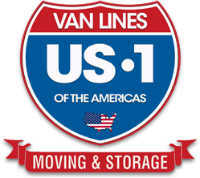 It is your responsibility to make sure everything is packed and loaded on the van, so remain on the premises until everything is loaded. Then make a final inspection of your home before signing the bill of lading.